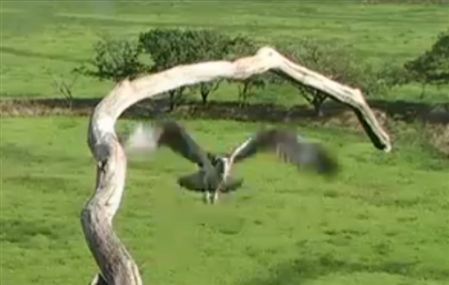 What a feisty bird she is! 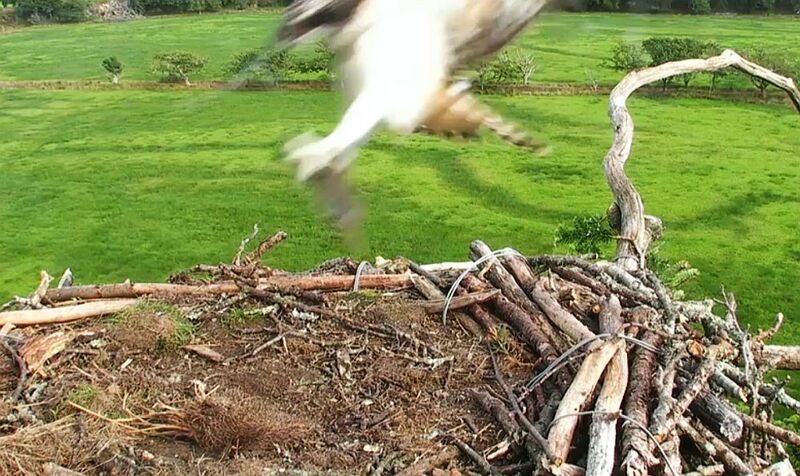 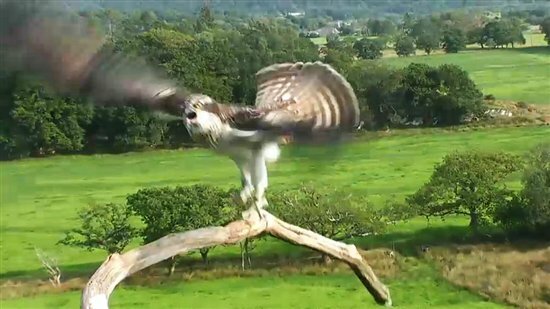 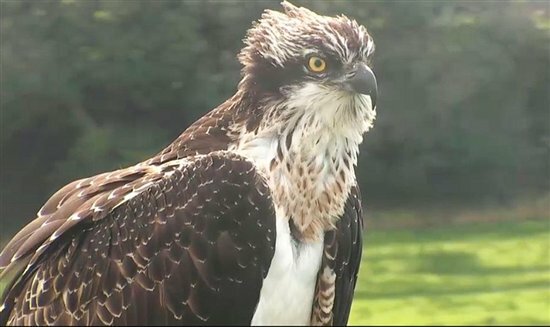 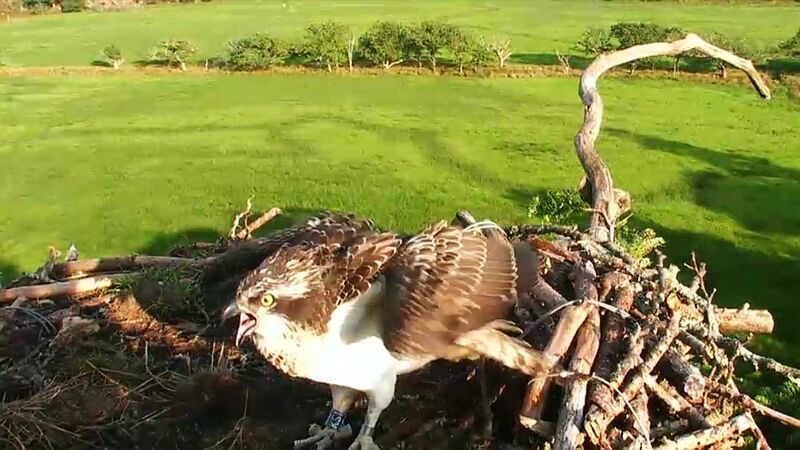 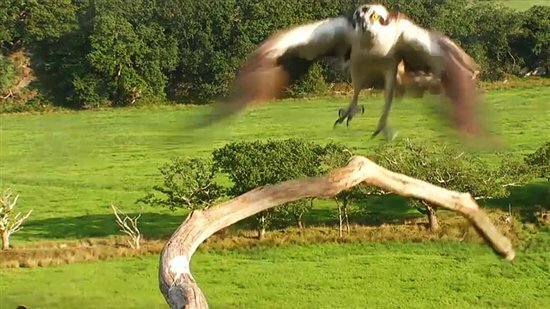 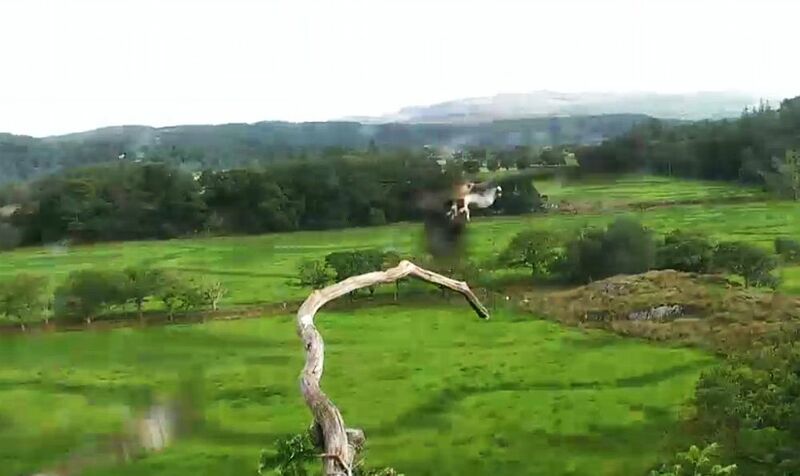 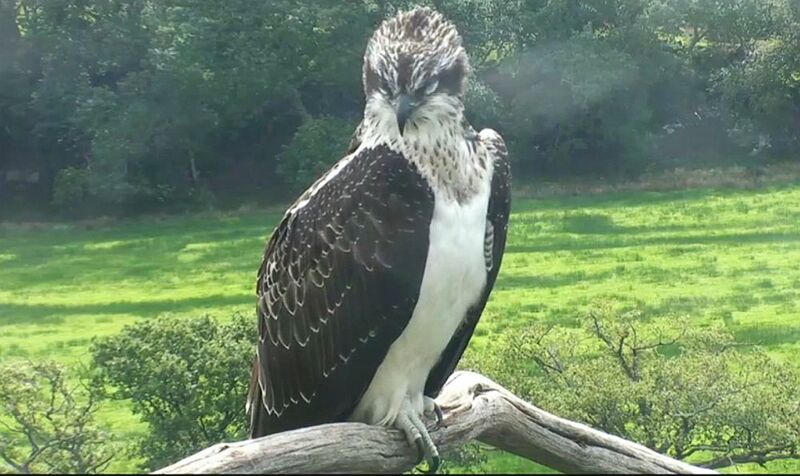 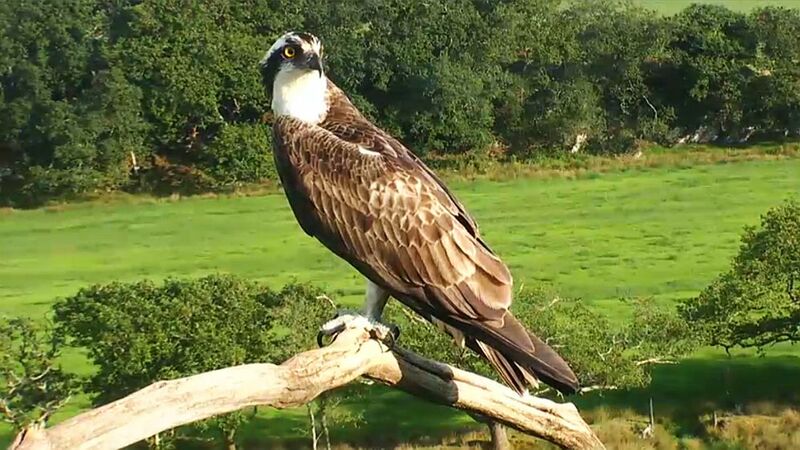 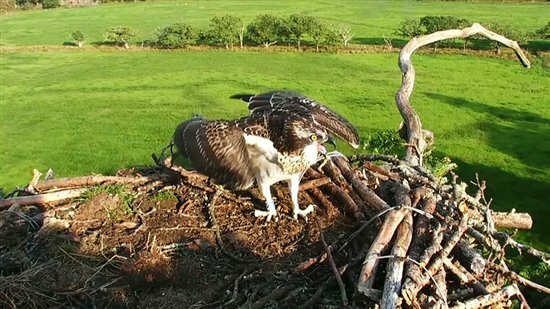 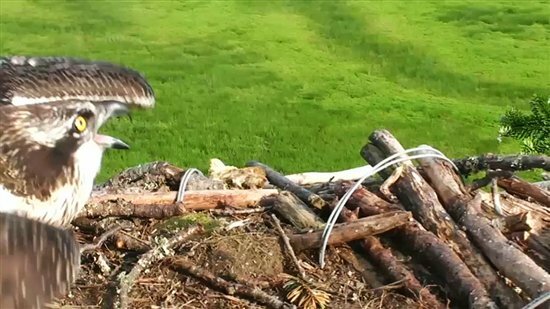 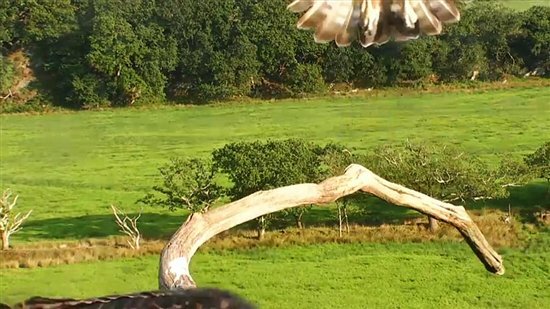 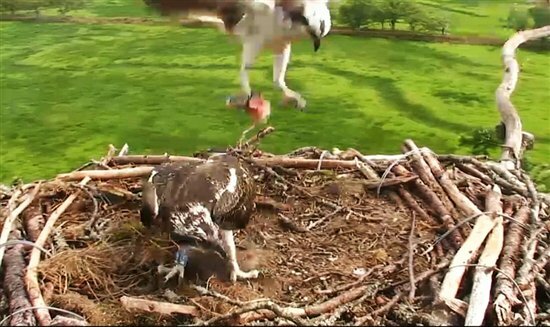 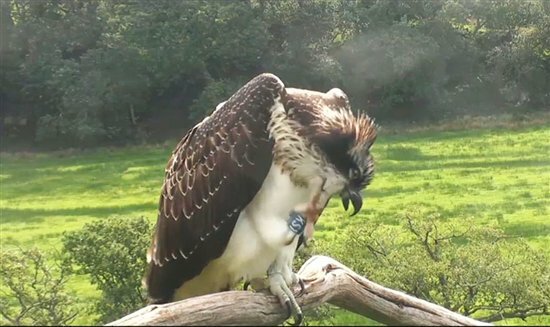 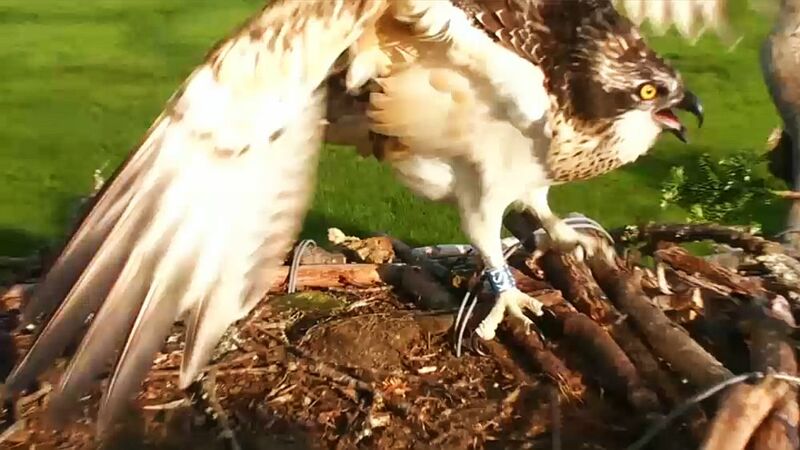 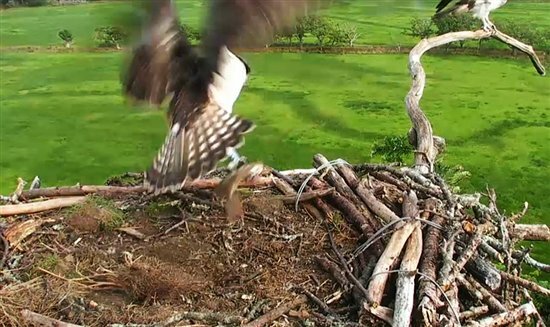 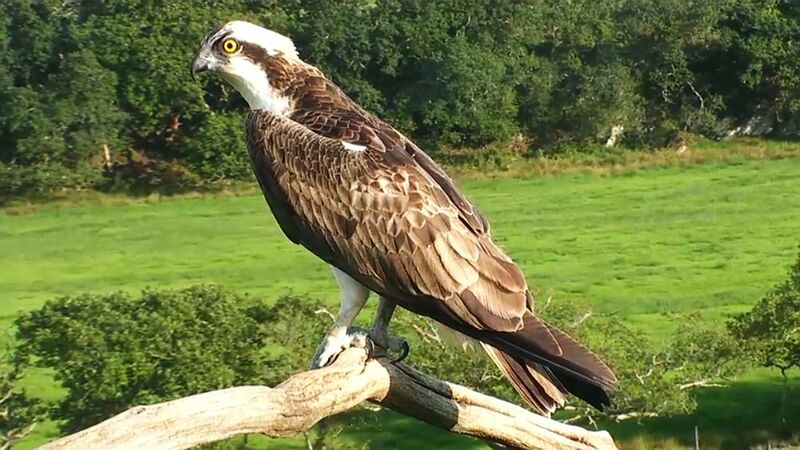 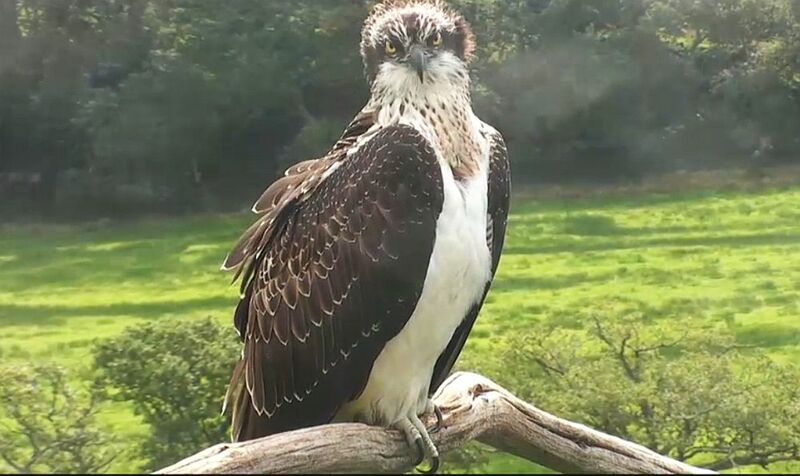 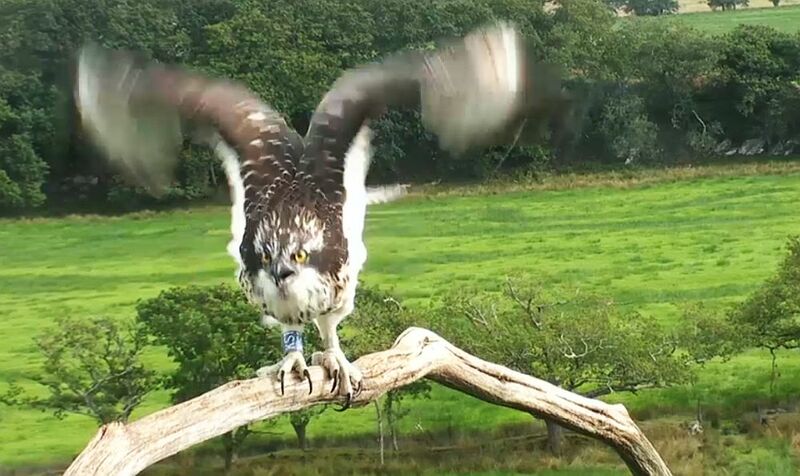 Presume she then flattened in response to alarm calls from Aran. 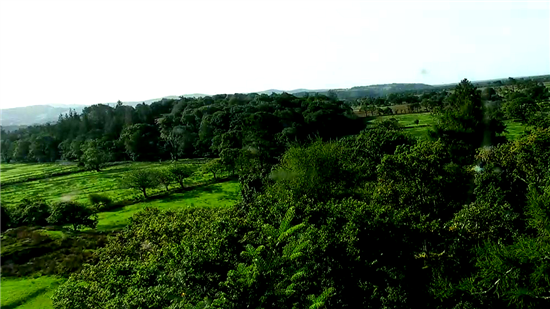 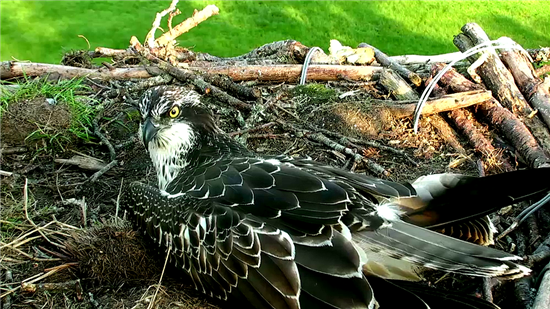 I recorded nightcam from 22:00 to 01:15 (hoping for a Tawny visit ;) ) but it's crashing my editor. 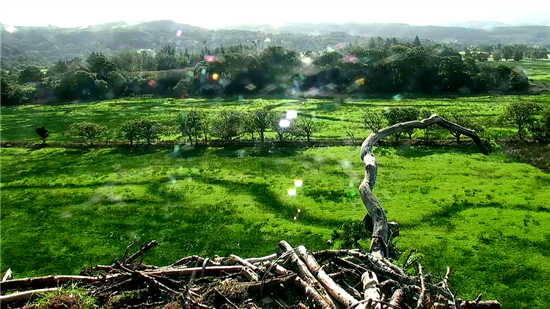 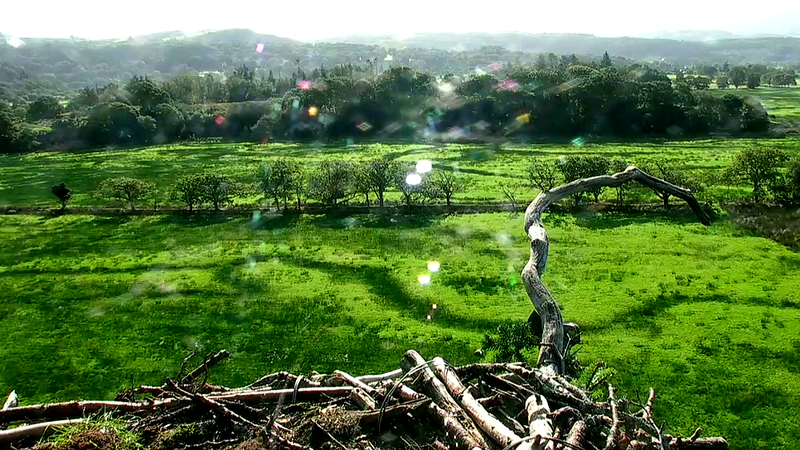 From what I did see there was only the shimmer of insects on the nest. Presume she then flattened in response to alarm calls from Aran. 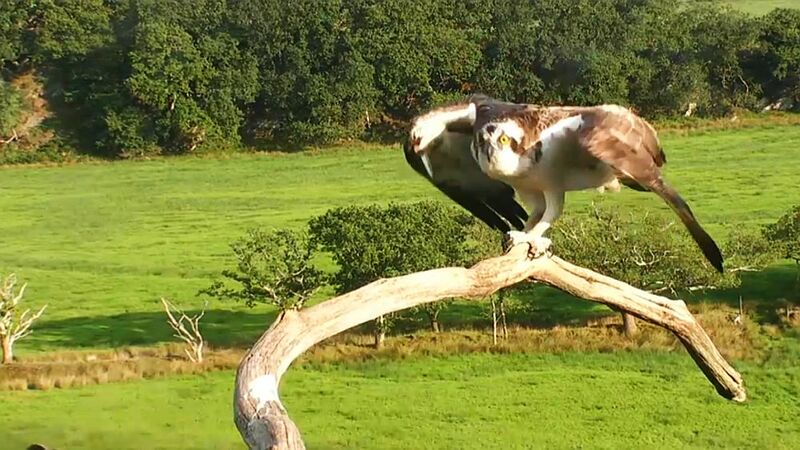 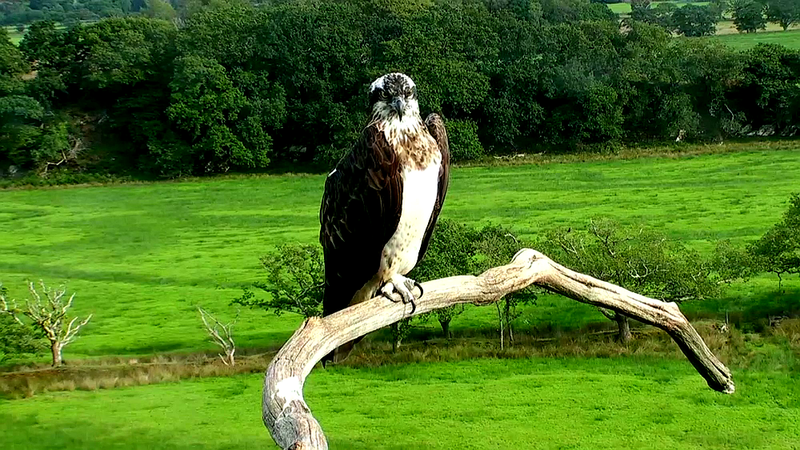 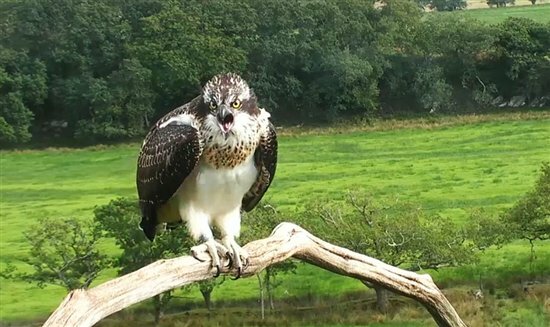 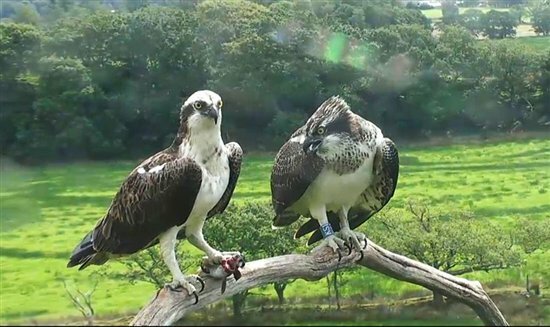 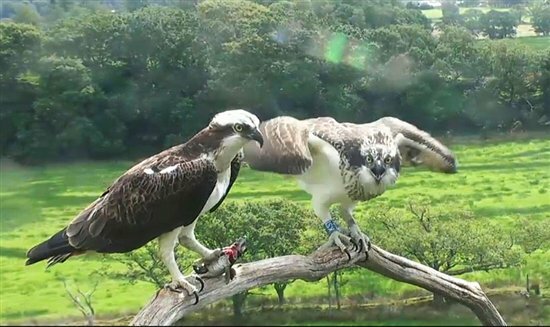 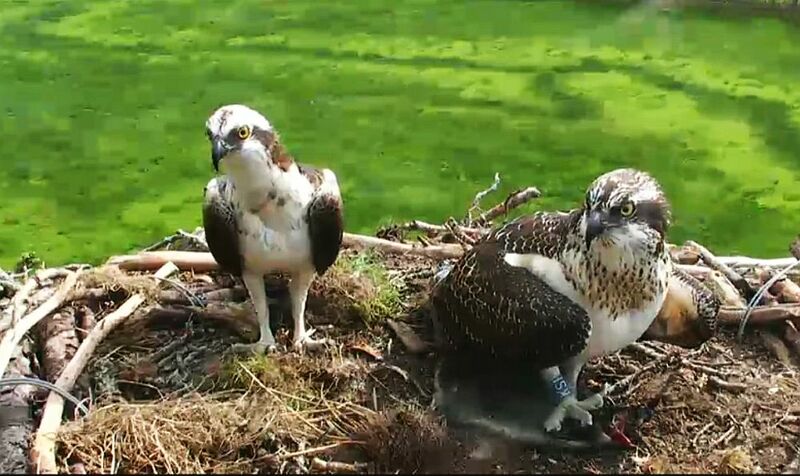 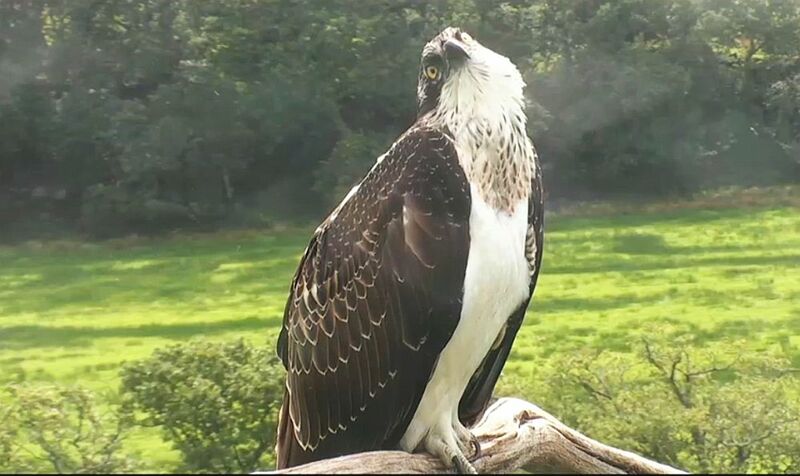 Did you think the male on the perch was Aran, Chrisy? 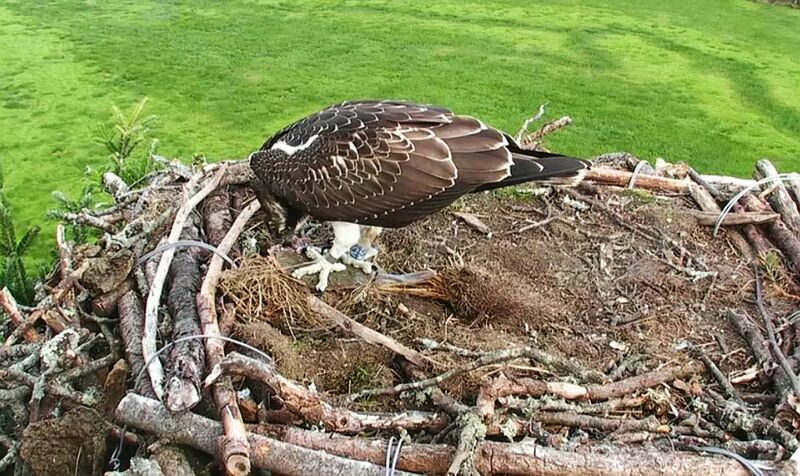 It was Aran-shaped, which is quite unusual. 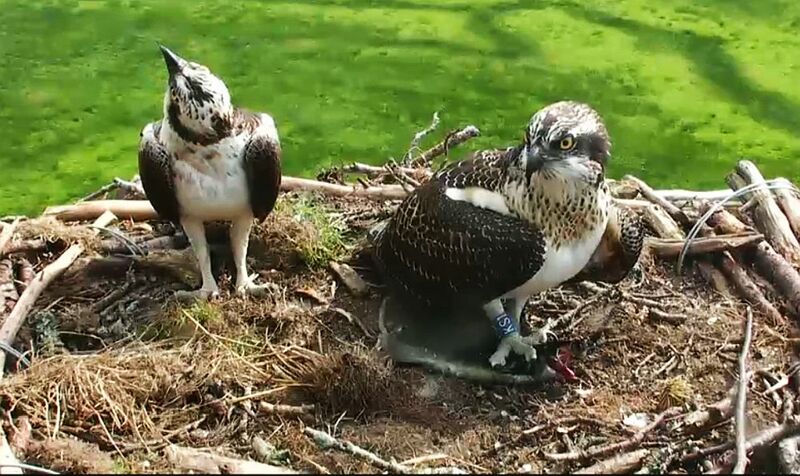 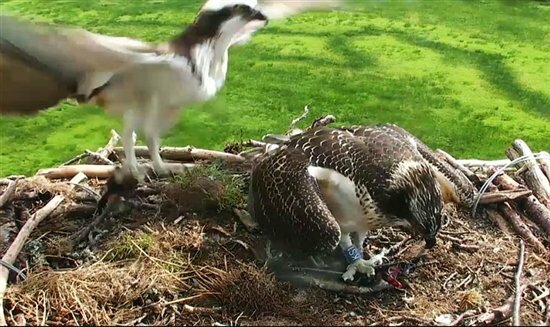 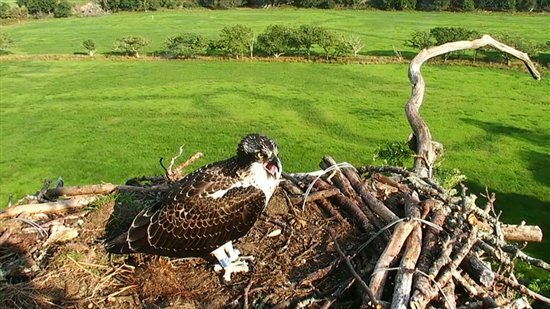 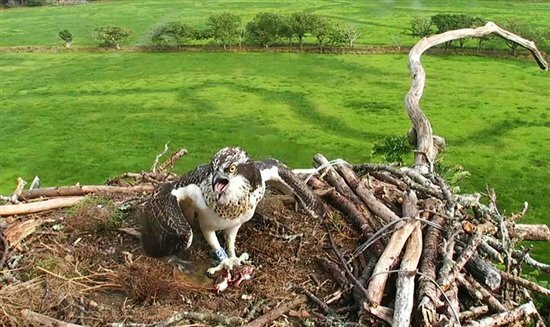 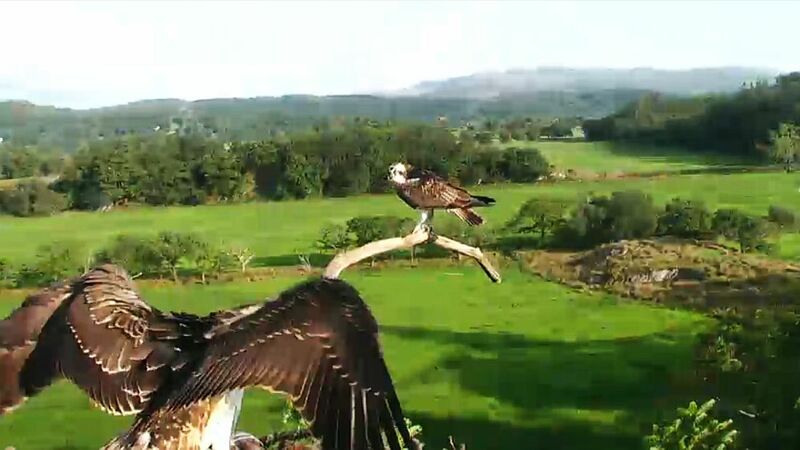 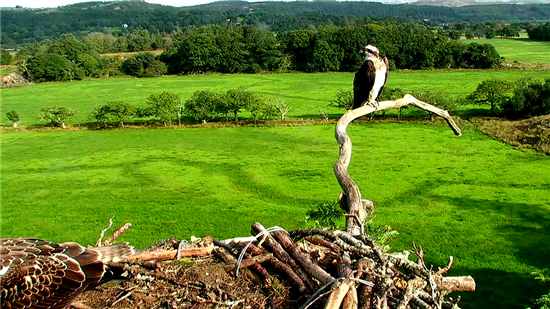 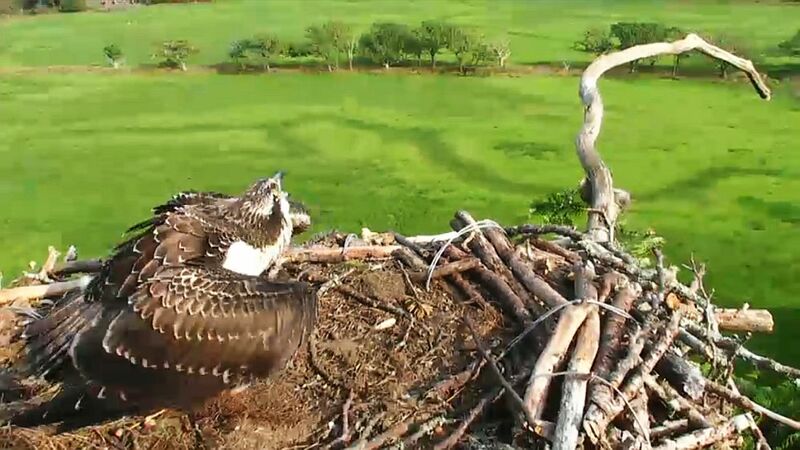 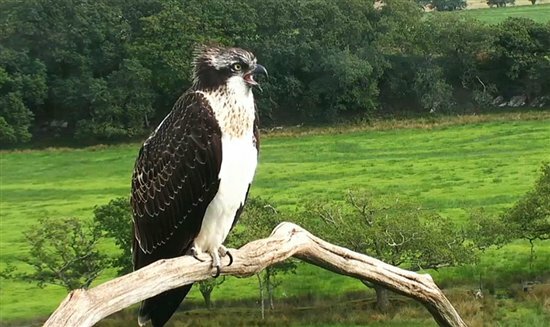 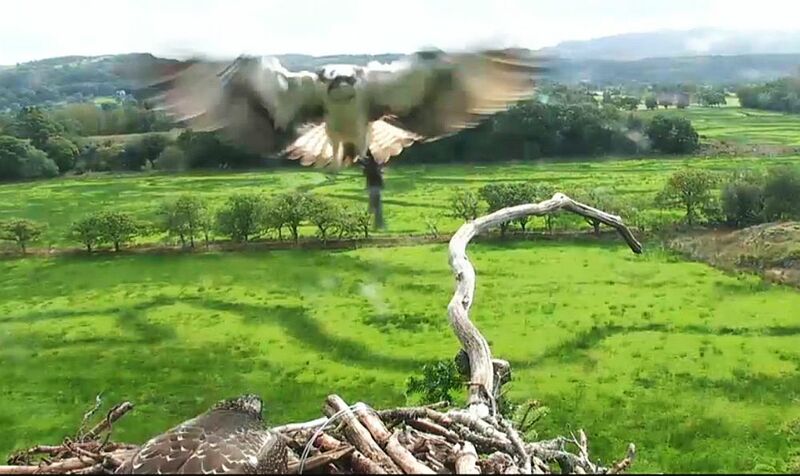 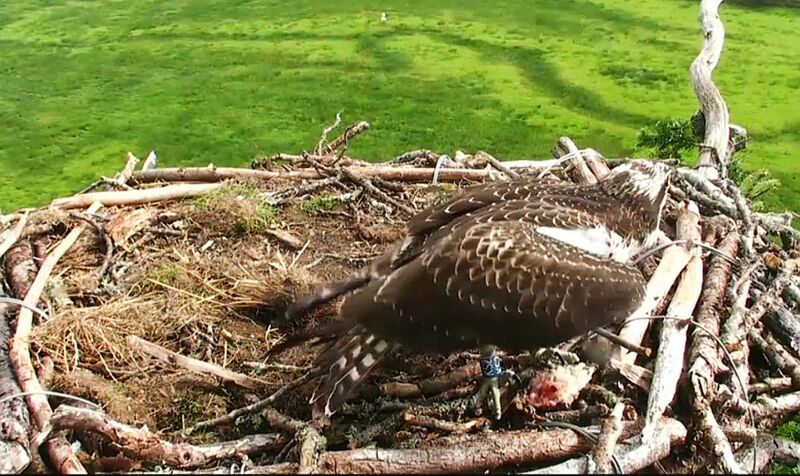 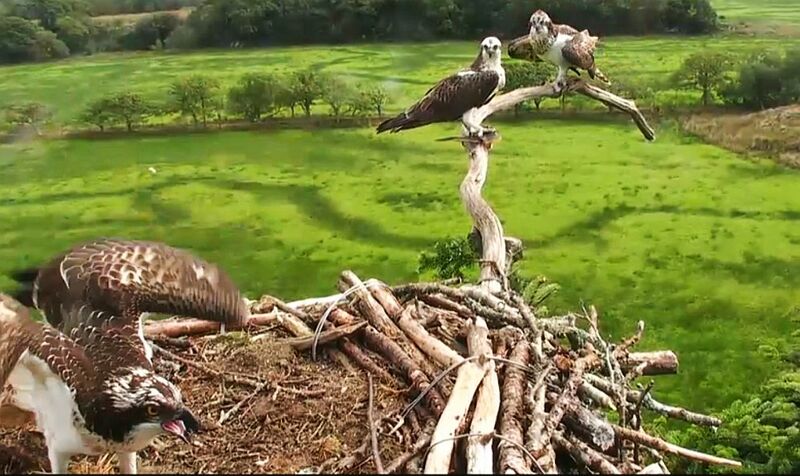 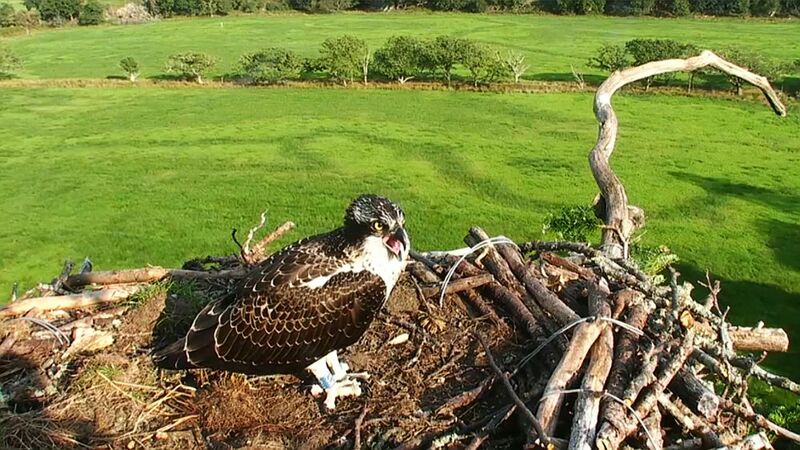 Aran with fish for juvie on the perch, but juvie flies to nest. I'm not au fait with it yet and just stop/started at a bad moment, given how long VLC starts to get going again. 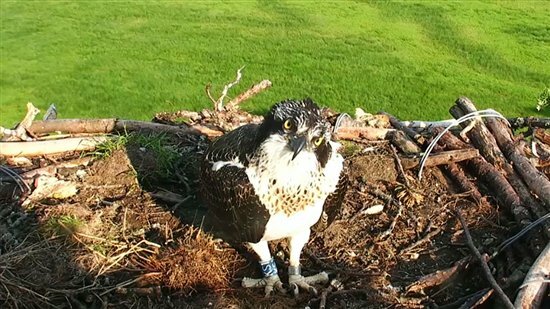 I've got lots from today but am wondering if there was a replay, am very confused. There has been at least one fish from Aran. Not confused at this moment, tho - here she is !!! 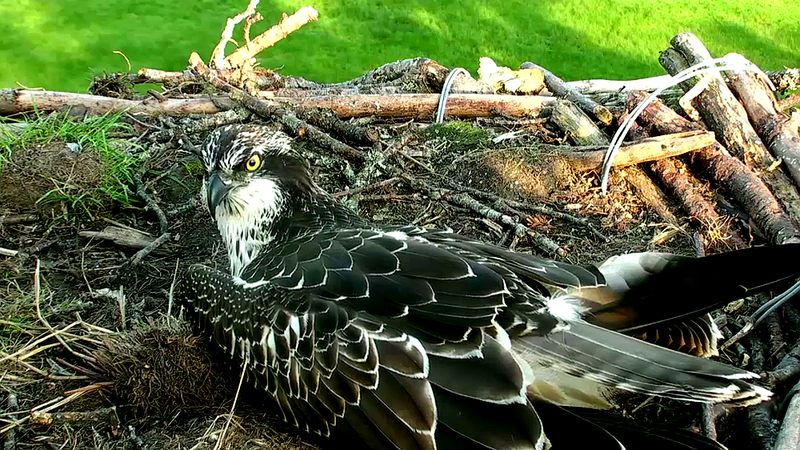 I think the light has taken away some of her markings. 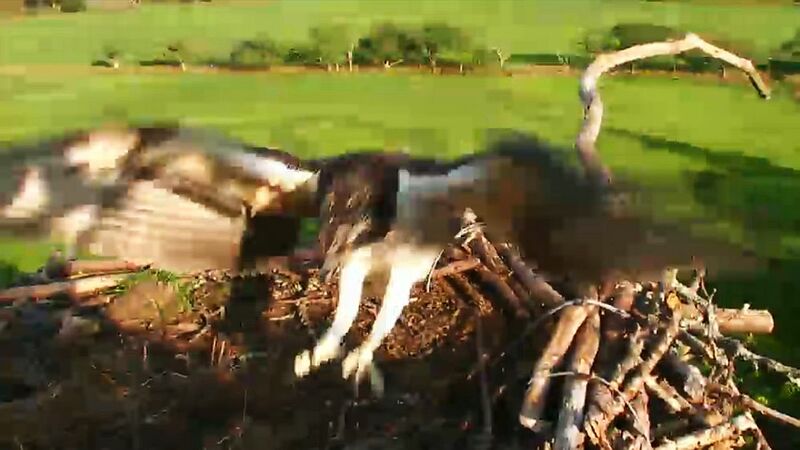 Camperson has been a little bonkers at times. 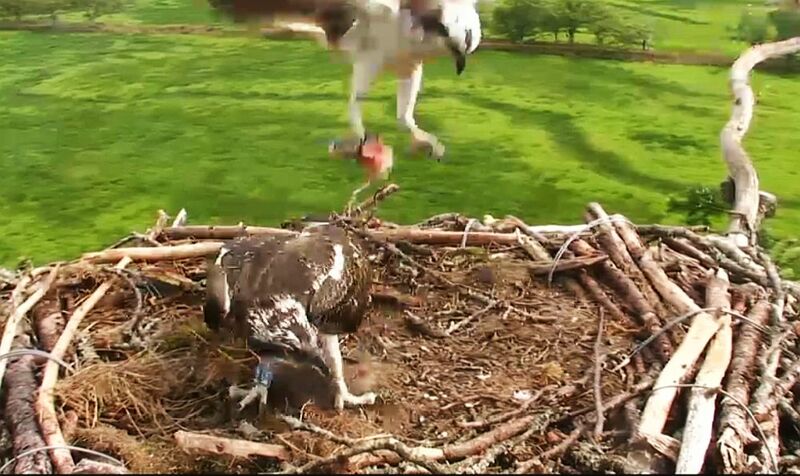 This also is 'now', the juvie must have a fish. Then MrsG turned up :-* More snaps above.